Panel: "Sergio Moro, Prosecutorial Authority, and the Crisis in Brazil"
By invitation – for more information, contact Peter Casarella (pcasarel@nd.edu) or Ann Mische (amische@nd.edu). Judge Sergio Moro of Brazil, the University of Notre Dame 2018 Commencement Speaker, has gained international visibility for his role as a Brazilian federal judge in the massive corruption investigation known as “Operation Car Wash,” a money-laundering inquiry that saw more than one third of the Brazilian Senate under investigation, along with current president Michel Temer and many members of his cabinet. Last July, Judge Moro sentenced former Brazilian President Luiz Inácio Lula da Silva to nearly 10 years in prison. 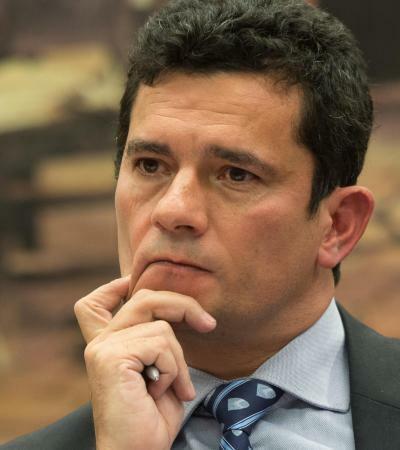 Judge Moro has become a controversial and polarizing figure in Brazil, lauded by some as a valuable challenge to the entrenched corruption and culture of impunity in Brazil, but criticized by others for selective prosecution, partisan bias, and procedures of questionable legality and standards of evidence. This cross-disciplinary colloquium will consider the deeper questions related to prosecutorial authority, democratic institutions, and public accountability in the light of Brazil’s current crisis, as well as with regard to corruption and accountability challenges worldwide. It will begin with a panel of Kellogg Institute faculty fellows, visiting fellows, and alumni.